Countless Americans choose to enter assisted living every year. But many more may be stuck on the fence, unsure of how to spend their later years, whether at home or in a retirement community. Unfortunately, a host of misconceptions may be standing in the way, clouding the picture. Breaking down these misconceptions is of central importance for seniors and their families. The problem is that myths are rooted in fact, but stretched to such lengths that they are no longer representative of reality. So while it's true that assisted living can be an upfront cost, the misunderstanding that the option is wildly and prohibitively expensive can be harmful to seniors seeking the best level of care and quality of life in old age. To make the most informed decision about moving into assisted living, interested seniors and their loved ones need an accurate understanding of everything involved. That begins with dispelling the most continuously cited misconceptions surrounding assisted living. Regardless of a senior's age or condition, there is a level of care that will best work for them. That means that assisted living is hardly exclusive to those with the most extensive needs, like memory care. Some seniors may choose to downsize their living costs — like transportation, utilities and home upkeep — and enter an assisted living community. For them, it's more cost-effective, while for another resident, the presence of a high-quality community nearby family may make more sense than living states away. No matter what factors impact your decision, there's an assisted living answer or everyone. The only difference between living in assisted living and living at home is location — and the fact that a retirement community may have even more useful amenities and care options. Seniors are free to pursue interests, hobbies, activities, exercise and social stimulation just as they would at home. Rather than limit such opportunities, communities encourage seniors to live independent and fulfilling lives, and also try to facilitate this personal enrichment by offering recreation, learning, pools, parties and outings. Communities are also bustling environments full of people from all different walks of life, which further inspires residents to branch out and make new friends, find new likes and broaden their horizons in retirement. Dorothy would tell you there's no place like home — except we'd disagree. Retirement communities very much become the homes of residents. Seniors not only have their own apartments, but can take advantage of various comforts à la home. Green thumbs will be pleased to know most communities have gardens for residents to tend, while bookworms can hang out in the library. There's something for everybody in a retirement community to make it feel even more like home. Many people hesitate when thinking about assisted living because of the perceived exorbitant cost of moving to a community. The reality of the matter is that cost is relative to means and other personal factors, but in many situations assisted living can generate savings. There are a variety of expenses, including home care, regular groceries and home maintenance, that can be offset by moving into assisted living. Paying for the move may also become less of a financial strain if proceeds from a home sale or gains from an investment can be put toward assisted living. While the proximity of family is different with each resident, there are more than enough faces in a community to help provide company. Some seniors fear moving into assisted living will end up a lonely situation, being removed from long-time neighbors or favorite local haunts. However, a community can help fill that gap by introducing seniors to new neighbors, as well as staff and volunteers who they can interact with and forge new relationships. If you or a loved one is considering moving to assisted living, it's worth talking to the community about whether pets are allowed. Having a furry companion is one way to ward off the blues that communities understand and may accommodate. 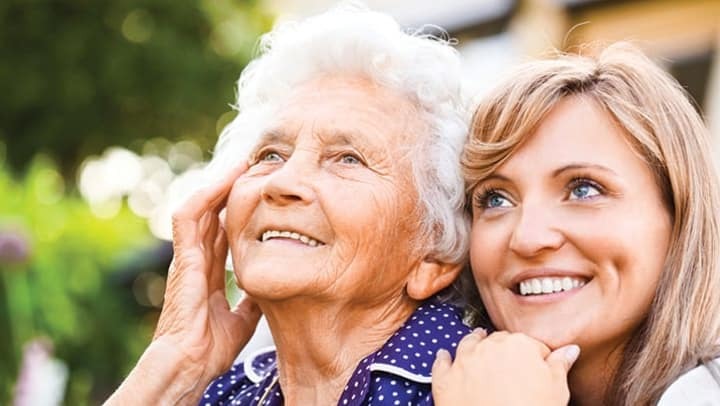 Overall, there are many misconceptions regarding assisted living that can cloud the decisions of seniors and their families. When you need clarity on the situation and an honest appraisal of the advantages and cost-savings, talk to a community about the assisted living and how the process works. Want to better understand the costs of senior living? Contact us today.